Let’s Party Like It’s 9/9/1999! Contrary to popular belief, this is NOT about Lindsay Lohan. The Parent Trap was released in 1998. Allow me to explain. Fourteen years ago TODAY, the world gathered by their TVs to watch a very important event, the 1999 MTV Video Music Awards. Oh yes, it was 9/9/99. See what they did there? So clever! Because everyone thought the world was going to end and computers were going to explode (hello, Y2K! ), these awards were a total blowout. They are also quite depressing when you realize how many of the stars of that evening have, well, gone downhill. 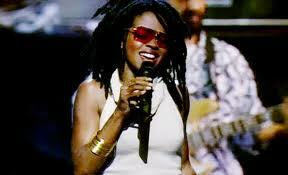 Since 1999, Lauryn’s career has sunk, seemingly by her own choice. She gave birth to six children–five with Bob Marley’s son Rohan–and she is currently serving a three month sentence in prison for tax evasion. As Tyra Banks once said, “I was routing for you! We were ALL routing for you!” Lauryn–please come back! Unlike Lauryn, Britney has been in the public eye quite a bit since 1999. But the poor girl suffered an apparent breakdown after splitting with then husband Kevin Federline in 2006. But back in 1999 she was a pop goddess, reigning pop heaven alongside Justin Timberlake and the rest of ‘N Sync. At the 1999 VMAS, TLC were nominated for something like 300 awards for the video for their smash hit “No Scrubs” (they ended up taking home the Moonmen for “Best Group Video” only). And the sad thing is, they were doing okay. 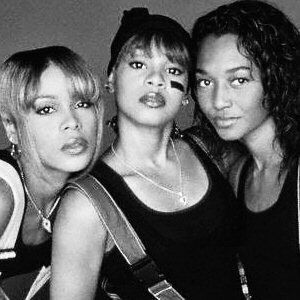 They were still super successful when Lisa “Left Eye” Lopes got killed in a car accident in 2002. Remaining members Tionne “T-Boz” Watkins and Rozonda “Chilli” Thomas continue to perform as TLC. Here is their performance at the VMAs where they were introduced by PRINCE! Okay, I hope I have not depressed you TOO much. I’ve certainly depressed myself. Always keeping it light! This entry was posted in Trip Down Memory Lane and tagged Britney Spears, Lauryn Hill, MTV, TLC, VMAs. Bookmark the permalink.